23andMe is reaching out for new customers using a new marketing approach. 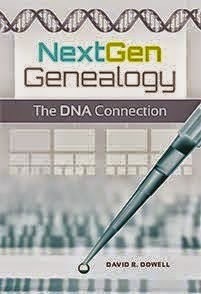 CeCe Moore who blogs as Your Genetic Genealogist offers more details. The 23andMe test is of autosomal DNA only. Therefore, it is good for exploring relationships with fairly close cousins and other close relatives. It also gives information on many health risks. However, it does not test more distant ancestors on the direct paternal (surname) or direct maternal (umbilical) lines like Y-chromosome and mitochondrial DNA do. While 23andMe is becoming more useful for genealogical research, it's original purpose was for health related testing. Now that three companies are testing autosomal DNA, matching across company databases is challenging. You may only see matches for relatives who have tested with the same company. To take advantage of this sale, you should use the link on CeCe's site. If you go directly to the 23andMe site you probably will not find the sale listed---at least I didn't. Apparently, 23andMe is using this marketing outlet to try to attract a wider audience than the genetic genealogists who are already aware of their services.